The PartnerTech RP-320 has been discontinued. No direct replacement is available. The perfect solution for high-volume retail and hospitality environments that require fast and quiet printing. The PartnerTech RP-320 features a resolution of 180 dpi and also full/partial autocutting. The compact size and integrated wall mounting make the reliable model ideal for many applications. A wide range of interfaces and port options allow easy installation and simple integration to either POS environments or POS solutions. 180 dpi resolution with 200 mm/sec high speed printing. Capable of wall mounting and supports full or partial cut. 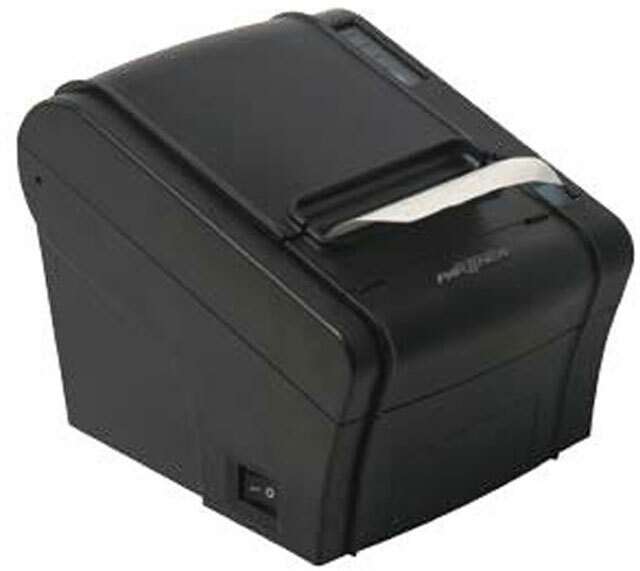 Includes: printer, parallel/USB, power supply Color: Black. 180 dpi resolution with 200 mm/sec high speed printing. Capable of wall mounting and supports full or partial cut. Includes: printer, Ethernet/USB, power supply Color: Black. 180 dpi resolution with 200 mm/sec high speed printing. Capable of wall mounting and supports full or partial cut. Includes: printer, serial/USB, power supply Color: Black.